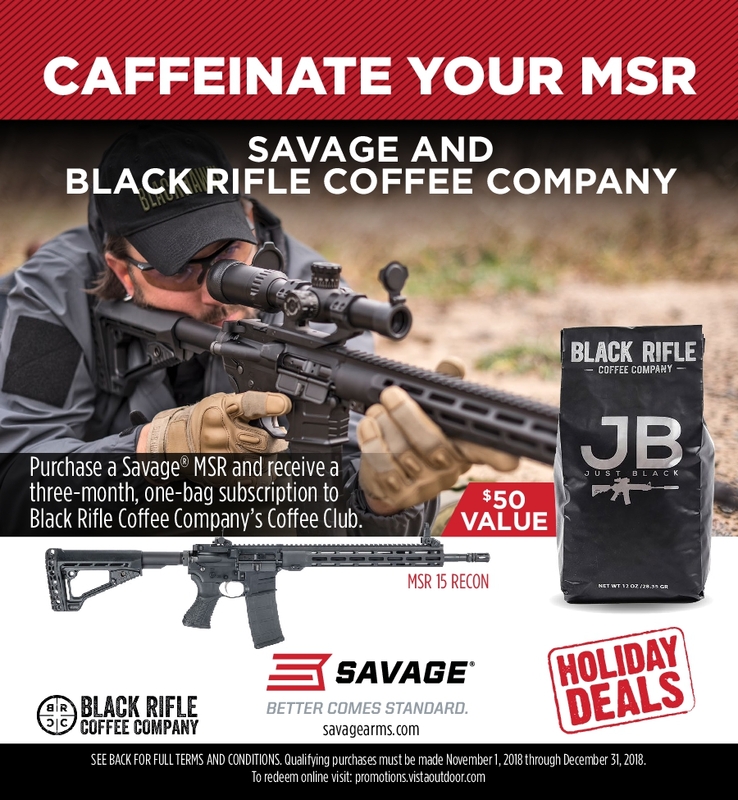 Purchase any model Savage MSR and receive a Black Rifle Coffee Company three (3) month (1 bag/month) Coffee Club subscription. (BRCC is Veteran owned and operated). 3 month Coffee Club subscription is a $50 retail value. Limited to 3 Coffee Club subscriptions per household. 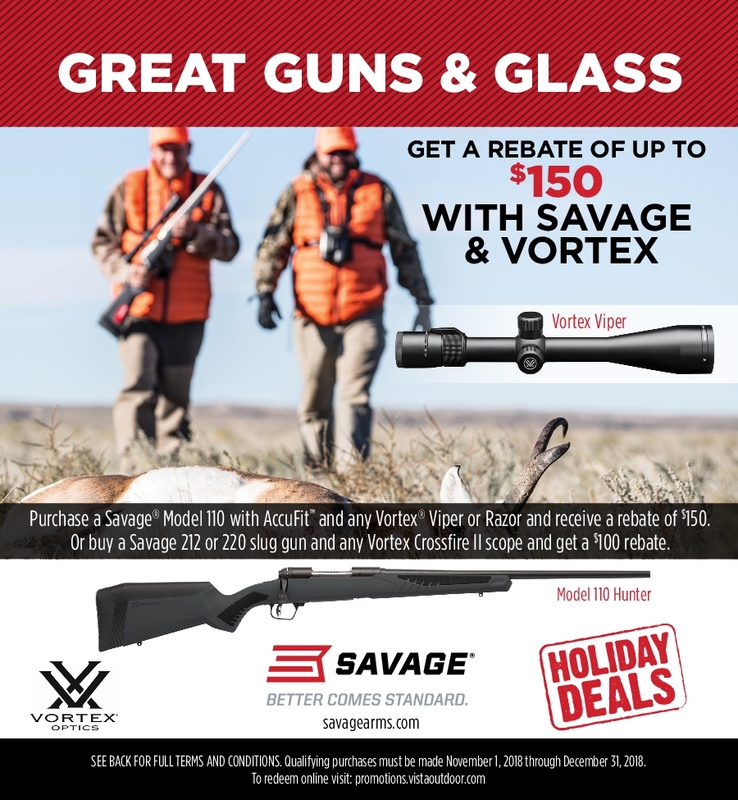 $150 back after purchasing of a Savage Model 110 w/AccuFit AND a Vortex Viper or Razor rifle scope. $100 back after purchasing of a Savage Model 212 or 220 AND a Vortex Crossfire II rifle scope. Redemption limited to THREE (3) firearm/rifle scope combos or $450 per household. 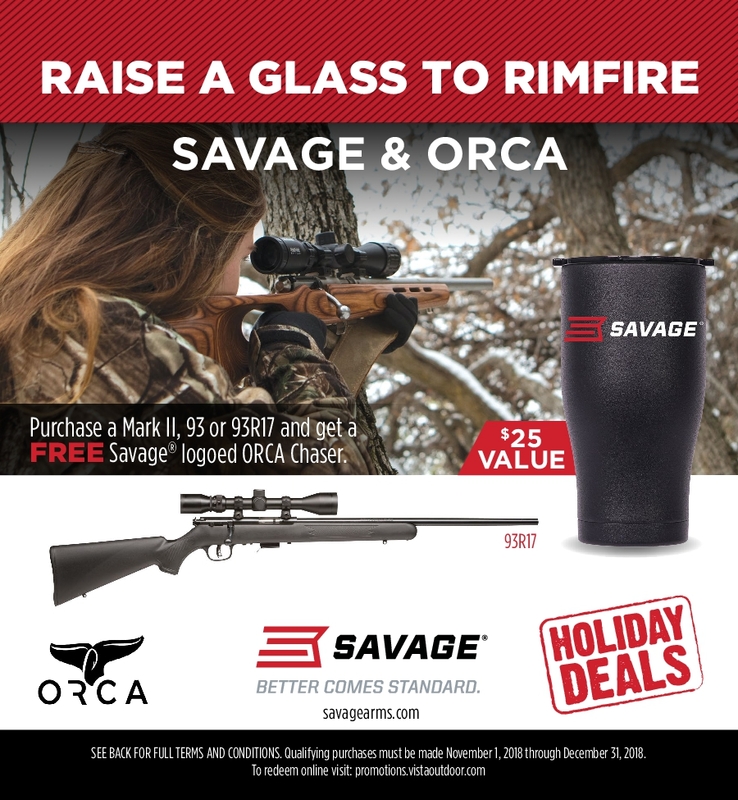 Purchase a Savage model Mark II, 93, or 93R17 and receive an EXCLUSIVE Savage branded Orca™ Chaser 27oz tumbler. Made in the U.S.A. $25 retail value. Limited to three (3) free tumblers per household. 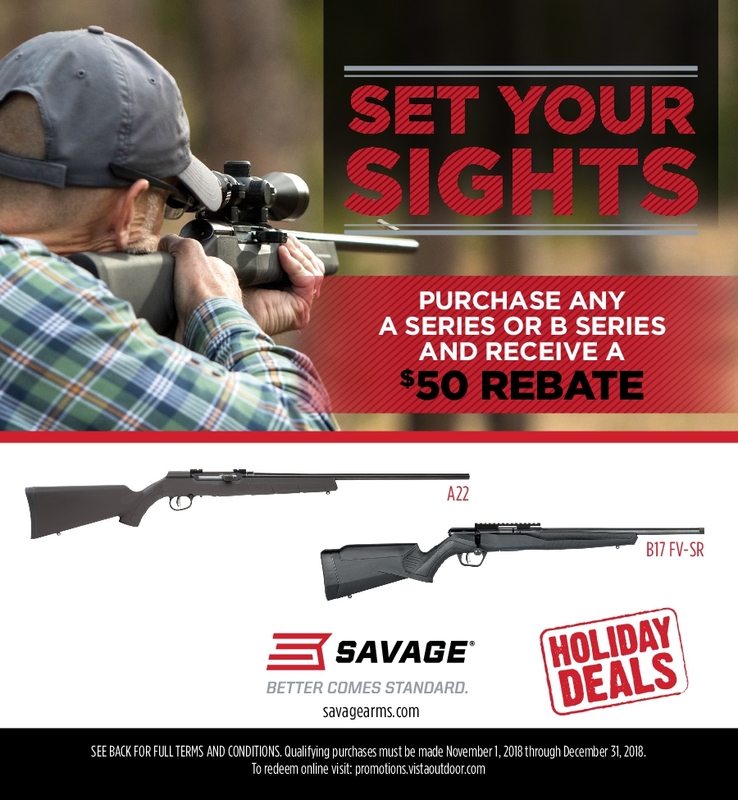 Purchase any Savage A Series with AccuTrigger™ Rimfire rifle or B Series Bolt Action Rimfire rifle and receive a $50 rebate.